Free custom brand/generic drug name dictionary file for Microsoft Office Word and other word processing applications. Free outpatient prescription utilization statistics for the United States encompassing more than 3 billion prescriptions annually. ClinCalc DrugStats includes prescription frequency, average out-of-pocket costs, and comparative utilization data between similar medications. This database is used to derive an annual "top 200 drugs", "top 250 drugs", and "top 300 drugs" medication list. 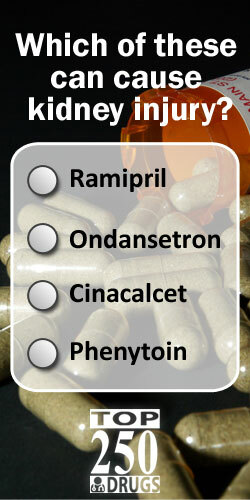 A full list of the Top 250 Drugs used in the mobile app FlashRX by ClinCalc. Each medication includes the brand name, generic name, and phonetic/audio pronunciation. Kane SP. Pharmacy. ClinCalc: https://clincalc.com/Pharmacy. Updated May 21, 2016. Accessed April 20, 2019.